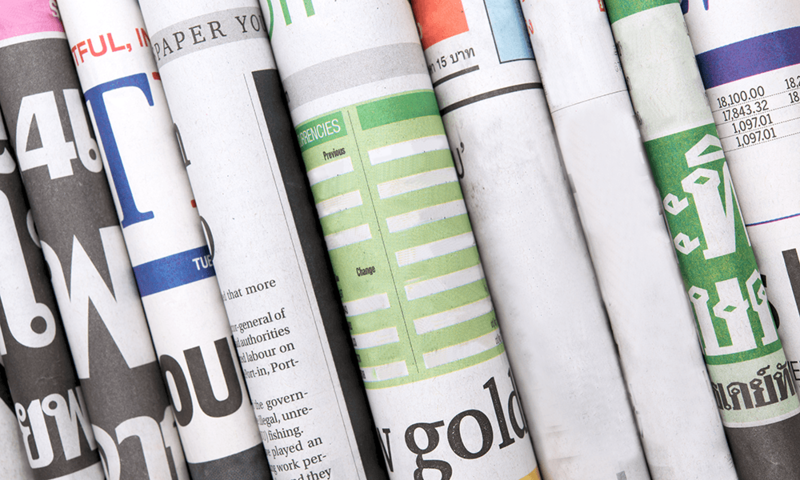 Read the latest press releases and case studies from TR Fastenings. 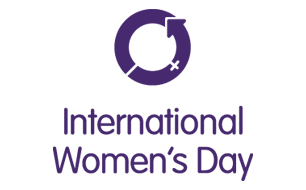 Today (8th March 2019) is International Women’s Day. It also marks the end of National Apprenticeship week. So, as we are hugely proud of our female employees and our apprentices, we thought we’d have a double celebration today and share some great TR statistics about both! Congratulations to David Taylor who has won our annual calendar competition. View David's tie breaker and the answers to our hidden TR's competition 2019. TR Scotland is celebrating its 30th anniversary this year, having first opened in April 1988. It was the third TR site to open in the UK, following Uckfield and Belfast. 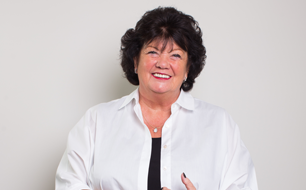 The Scotland team originally consisted of just ten people, spanning warehouse, sales and management positions. 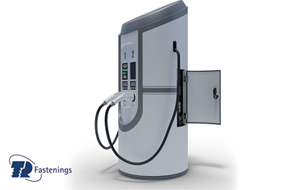 Global fastener firm has the extensive product ranges and expertise needed to support the design, manufacture and development of charging units for Electric Vehicles. 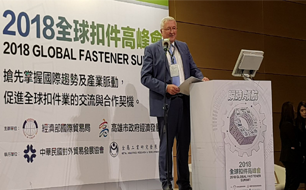 Geoff Budd, European Managing Director of global fasteners manufacturer and distributor TR Fastenings was one of the featured speakers at the Global Fastener Summit in Taiwan in April. The three day 2018 Taiwan International Fastener Show is the world’s third-largest and Asia’s second-largest professional trade show. 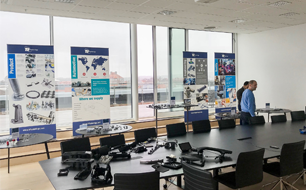 TR Fastenings (TR) has opened a new Technical and Innovation centre in Gothenburg, the heart of Sweden’s automotive industry. 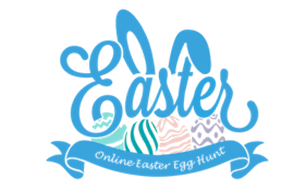 Congratulations to Joanne Griffiths who has won our Easter Egg Hunt competition. Thank you to all who entered our competition. View the full list of answers here. Congratulations to Nicola Pritchard who has won our annual calendar competition. View Nicola's tie breaker and the answers to our hidden TR's competition 2018. Interview by Will Lowry, Editor for Fastener and Fixing Magazine. The key word that sums up 2017 for us as a business is growth. "I could see from joining TR that the company was growing and it just felt the right thing to do"
Global fastenings manufacturer and distributor, TR Fastenings, has invested in a new 3D printer. 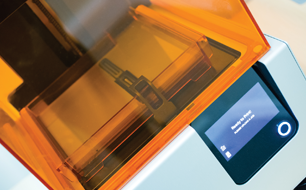 The printer is an SLA (StereoLithic Apparatus) machine which delivers a far superior quality to the FDM (Fused Deposit Modelling) equipment replacing the existing model. TR took part in a British trade mission to Mexico this summer, as part of a group of businesses representing the UK's automotive industry. 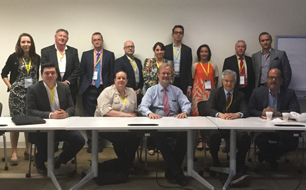 The trip hosted by Santander and the Society of Motor Manufacturers and Traders (SMMT), was organised to champion British automotive expertise to Mexican businesses and allow the trade delegates to establish key connections in the region. 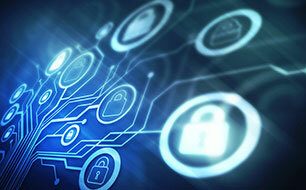 Global fastenings manufacturer and distributor TR Fastenings (TR) has demonstrated its commitment to information security by gaining ISO 27001 certification for its IT service desk and technical teams in the UK. The models and animations, which allow users to move the product images around and see how they are installed and used with other materials or components. Congratulations to Lee Garlick who has won our Easter Egg Hunt competition. Geoff Budd joined TR Fastenings forty years ago, as a temporary packer. 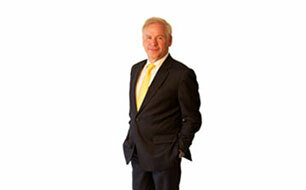 Within ten years he was a director of the rapidly growing business. Cut Geoff Budd and each corpuscle spilled would carry a TR logo. 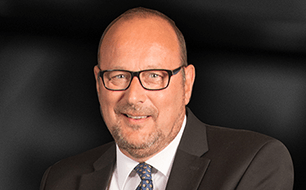 That’s by no means blind loyalty – here is a man who can be disconcertingly critical as well as disarmingly generous, as his colleagues and extensive contact network across the global fastener industry will attest. 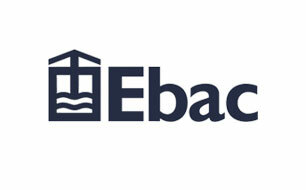 TR Fastenings (TR) has secured a partnership with British firm EBAC, the only UK manufacturer of washing machines. TR has been appointed as the company’s sole supplier of fasteners and fixings for its new range of domestic washing machines, which is being rolled out throughout the country this year. Congratulations to Christine Cope who has won our annual calendar competition. View Christine's tie breaker and the answers to our hidden TR's competition 2017. 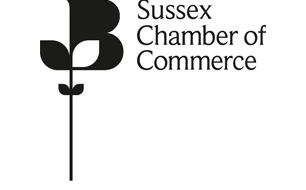 TR Fastenings has joined the Sussex Chamber of Commerce 43 years after the company started with five employees and a rented room in Uckfield. 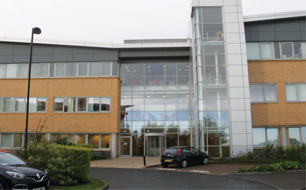 Today TR Fastenings retains headquarters in Bellbrook Park, Uckfield, but as part of Trifast plc has 27 locations worldwide. 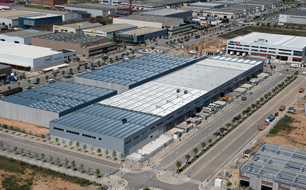 TR has expanded its global logistics and customer technical support resources with the opening of a new distribution facility in Barcelona, Spain. The new operation's initial focus will be on the burgeoning Tier 1 automotive sector, which continues to be an important growth-driver for the company. The new exo-solution for city transportation. As our cities become increasingly congested with traffic and pollution, bicycles are proving an increasingly popular way to get around town more quickly and easily - and with the added benefit of zero emissions. 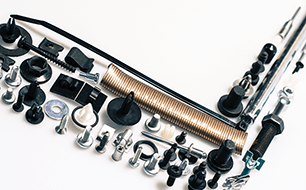 TR is a major manufacturer and supplier of mechanical fasteners for the automotive, electronics, telecoms, domestic appliance and general industrial sectors, with an annual output of 50 billion components worldwide. As a leading global assembly partner, TR fully understands the requirements of engineers. 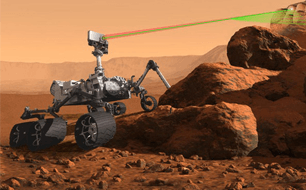 TR Fastenings Norway, is pleased to have been asked to supply essential rivets and tools for a Radar Imager for the new NASA Mars Exploration Rover which launches in 2020. This is the first time components that TR have supplied have gone into space, and it is exciting to be a small part of future history. TR Fastenings Belfast specialises in the supply of fasteners to the Crushing & Screening, Earthmoving, Agriculture and Materials Handling Equipment sectors throughout Ulster & Leinster, stocking high tensile grades 8.8 and 10.9 bolts up to M48. 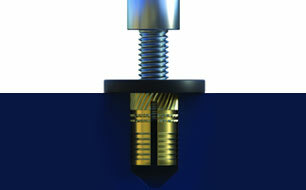 These complement the company's standard fastener range which can be found on its website. By Geoff Budd, Trifast Director and European Managing Director. 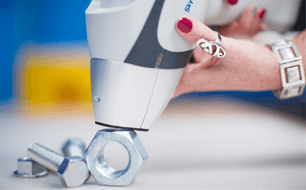 With over 40 years' experience in the fastener industry, we have witnessed numerous changes within the UK market and always strike to respond to the ever-changing requirements of the domestic manufacturing sector. TR is seriously committed to ensuring all its products comply with the necessary substance-based legislation. These European directives restrict the amounts of hexavalent chromium, lead, mercury, cadmium and other hazardous elements in products. A member of British Marine and park of the global TR group, TR Poole has one of the largest portfolios of marine components on the South Coast. 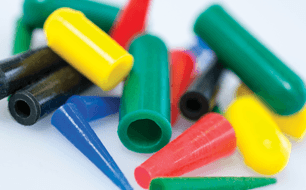 The company is always looking to develop and improve its service, quality and products and has recently introduced a range of +315 Deg C silicone masking caps and plugs. 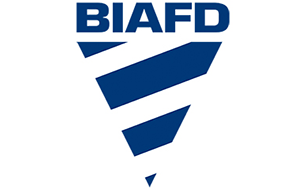 Durability of Burn-Prevention Invention Enhanced by Bespoke Solution. Designed to protect young children and pets from serious burns, the DAIO is a revolutionary hair appliance organiser with a clever universal bracket. Congratulations to Fiona Elliott who has won our Easter Egg Hunt Competition. Thank you to all who entered our compeition. View the full list of answers. 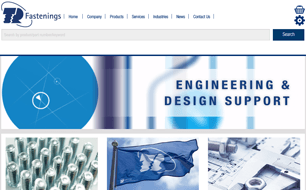 Leading global manufacturer and supplier of industrial components TR Fastenings is delighted to announce the launch of its new website, www.trfastenings.com designed to be the ultimate go-to resource for engineers, designers and buyers, with improved navigation and functionality throughout. 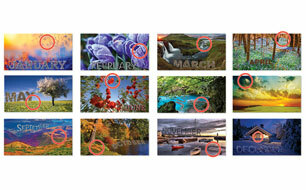 Congratulations to James Asbury who has won our annual calendar competition. View James' tie breaker and the answers to our hidden TR's competition 2016. According to a recent report into the automotive industry by leading management consultants Strategy & Co, despite the fact the automotive sector globally has been enjoying a period of relatively strong growth and profitability for the past few years, OEMs face some serious challenges ahead. 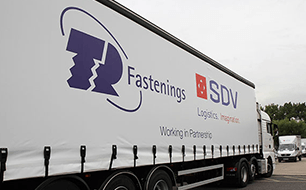 SDV Ltd, a leader in global supply chain management, has recently rebranded one of its trailers to feature a specially designed joint SDV and TR Fastenings logo. As one of TR Fastenings’ major suppliers of international logistics, SDV has been providing a door-to-door service for the company’s logistical needs over the past five years. Hosted by Geoff Budd, European Managing Director at TR and a Director of Trifast, the visit was both an opportunity for Nus Ghani to tour the manufacturing plant based in Uckfield which specialises in producing the company’s own-brand Hank rivet bush and to speak to members of staff at the firm. TR has strengthened its position as a global leader in the fastener industry following the success of the recent VIP visit by Mr Feng Jin Yao, Chairman of the China Fastener Industry Association (CFIA) to its headquarters in Sussex. 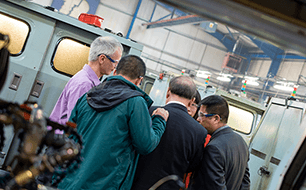 Accompanied by his colleagues Mr Jinyao Wu, Mr Shen Jia Hua and Ella Leung, editor of China Fastener magazine, Mr Feng Jin Yao was taken on a private tour of TR’s manufacturing plant in Uckfield. 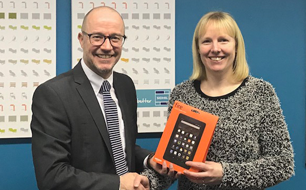 Congratulations to Caroline Wilson from Calsonic Kansei who has won our annual calendar competition! 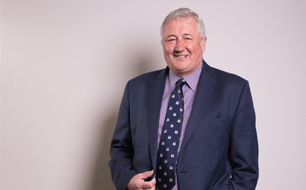 At its recent meeting the Executive of the British & Irish Association of Fastener Distributors elected Geoff Budd as its Chairman for the next two years. 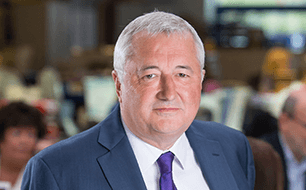 Geoff Budd is a Director of Trifast plc and European Managing Director of TR Fastenings, with more than 38 years wide-ranging experience in the fastener industry. TR has invested in a highly sophisticated 3D printer for the purpose of creating testing and prototyping parts, predominantly for the automotive industry. 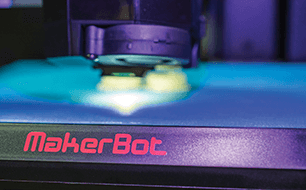 The 3D printer will use molten plastic to produce the prototypes, enabling customers to see what a particular part might look like before they commit to ordering a large quantity. 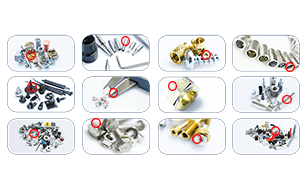 TR Fastenings designs, manufactures and distributes mechanical fasteners on a global basis and delivers to more than 50 countries through its 25 locations across Europe, Asia and the US. TR Southern Fasteners is delighted to announce that it has become a member of the British & Irish Association of Fastener Distributors (BIAFD). 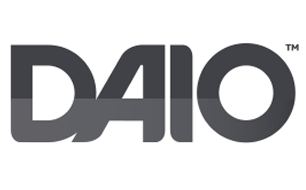 A highly-respected trade organisation which represents its members on issues directly related to the fastener industry, including raw material and supply chain trends, legislation and regulation, and product development. 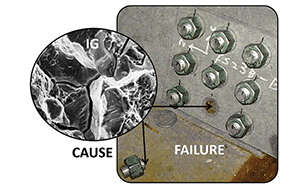 When a fastener fails because of hydrogen embrittlement, the blame often tends to be unfairly pointed at the supplier. 2013 has been a landmark year for TR Fastenings as it celebrated 40 years at the forefront of the fastenings distribution and manufacturing business. 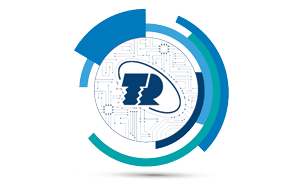 TR’s products are used by electrical engineers every day and advances in product technology and design means that TR is constantly adapting and expanding its range in response to customer demand. 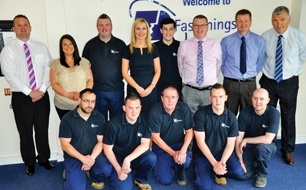 Sticky Fingers at TR Fastenings! Innovative Team-Building Ideas Prove Recipes for Success. Paul Hollywood and Mary Berry beware! 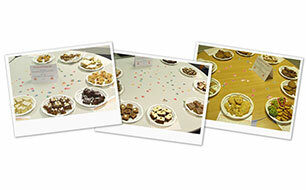 Employees at TR Fastenings, a global manufacturer and distributor of industrial fasteners and fixings, are proving they are as adept at baking as they are at business, with the success of two new initiatives. 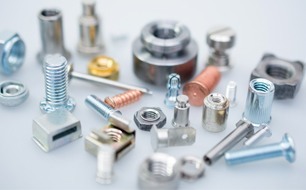 TR supplies over 150 million components every day, majoring on the design, manufacture and distribution of mechanical fasteners on a global basis. 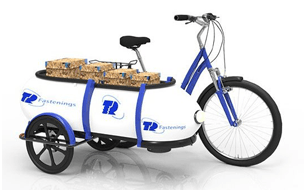 This competitive combination has fuelled sales and geographic expansion over the past two decades and today the TR Group has over 5,000 customers and has attained ‘Preferred Vendor’ status with over 30 global customers; offering a cradle to grave solution, from design through to VMI logistics service and aftercare. 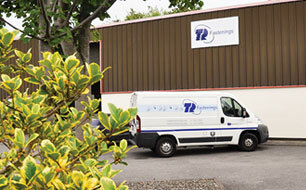 TR Fastenings Ltd, Headquartered in Uckfield, UK, celebrated its 40th Anniversary last month. Will Lowry visited the company to find out how it has developed from a buying and selling operation initially set up in an old convent - to a global fastenings manufacturer that supplies 150 million components to customers worldwide every day. Synonymous with the ultimate in marine luxury, Sunseeker is an iconic, global brand whose success lies in its tireless pursuit of excellence and innovation. 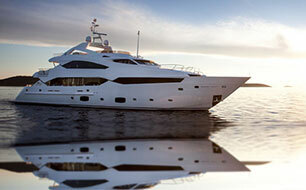 One of Sunseeker’s key supply partners is TR Fastenings, with which it has worked closely for many years. 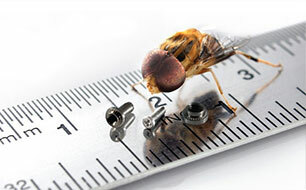 A leading manufacturer and supplier of industrial fasteners and fixings. TR Fastenings is well-positioned to supply Sunseeker with a vast range of essential fasteners and chandlery fittings. 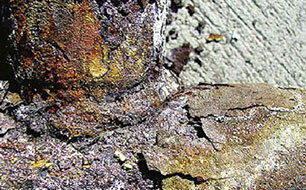 Engineers know hydrogen embrittlement is a bad thing. However, ask many to explain what it is and how to avoid it, and you may be met by silence. The phenomenon occurs when hydrogen atoms penetrate the crystalline molecular structure of metals and weaken the bonds. 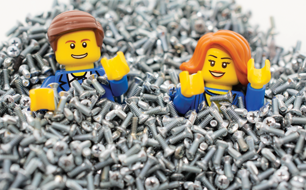 Global fastenings manufacturer TR Fastenings celebrates its 40th birthday this month and reveals ambitious future growth plans. 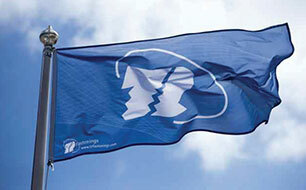 TR Fastenings supplies around 150 million components to customers worldwide every day. With the European Commission formally adopting an extension to the Restriction on Hazardous Substances (RoHS) Directive, many more electronic devices will be impacted by the strict new regulations on the use of heavy metals and dangerous chemicals. According to the latest NCB Purchasing Managers’ Index, Irish manufacturing activity contracted at its sharpest rate in two years during September. However, TR Southern Fasteners, leading global manufacturer and distributor of industrial fastenings, based in Mallow, Southern Ireland, is bucking this trend with the business reporting over 35% growth over the last two years. An established presence in China is undoubtedly a bonus when getting to grips with the market opportunities there. 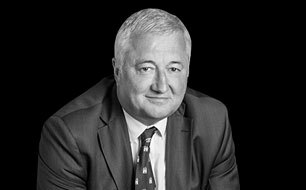 Read Jim Barker's 5 lessons from the Trade Exchange. Having an established presence in China is undoubtedly a bonus when getting to grips with the market opportunities there. 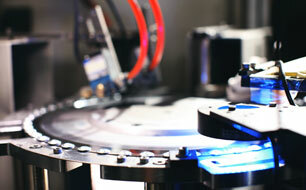 Electronics light the way - India’s economy has been booming leading to growth in a wide range of industry sectors. As a result India has become an exciting innovative marketplace for fastenings. India’s economy has been booming leading to growth in a wide range of industry sectors. 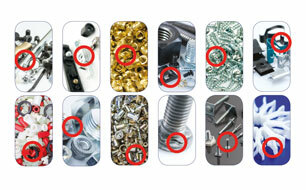 As a result India has become an exciting innovative marketplace for fastenings. 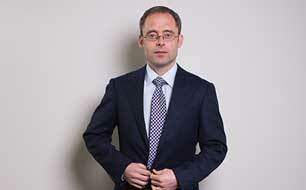 Jeremy Scholefield, Director of Strategic Business – Electronics Sector, TR Fastenings, explains.